Why do I need to encrypt a disk? Since the external hard drives are designed to be portable, for example, users often use external drives both at work and at home, there is a risk of losing the drive. How to protect your data from viewing by third parties? Encrypt data stored on it! 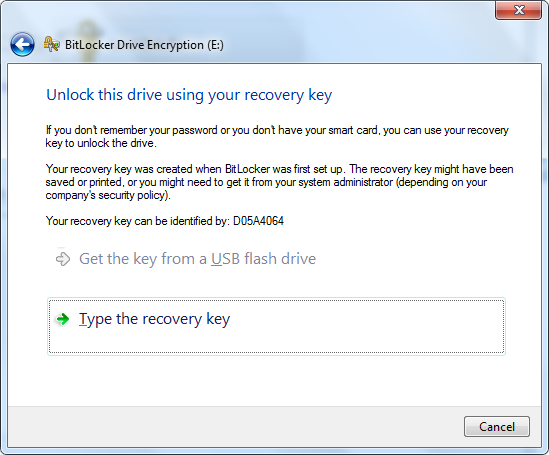 To encrypt a hard drive you can use BitLocker, special software from Microsoft. This encryption tool is free but available only in Windows Professional. 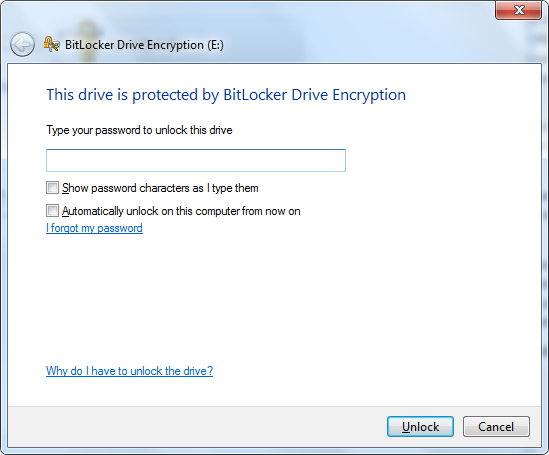 If you encrypt an external drive with BitLocker, each time you connect the drive, you are asked to enter a password. Interestingly, BitLocker encrypts the data on the disk, that is, if someone can get low-level access to the sectors on the disk, nothing meaningful can be extracted — all the data is encrypted. Data recovery from an encrypted hard drive is the same as in case of a regular hard drive given that you know a password. All you need is to connect a disk to a PC, type in a password and run data recovery software like ReclaiMe File Recovery. Connect the encrypted hard drive to a PC you used for encryption. BitLocker shows the following message. Select – I forgot my password. Click Type the recovery key. Search the computer for the file storing the recovery key. 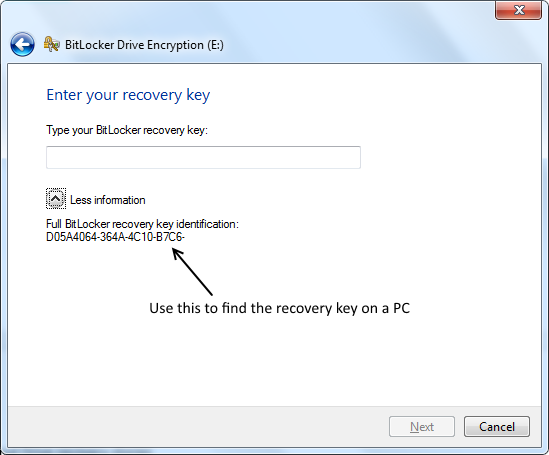 To do this, use search function and type in your BitLocker recovery key identification. (D05A4064 – key identification on the screenshot below). Once you recover the encryption password, you can proceed with data recovery. You can find more information about external drive recovery at - How to recover data from an external hard drive. If you cannot recover the encryption password, data recovery is impossible.